Gates Foundation rag EdSource and irrepressible education writer Peter Greene recently announced another resounding defeat in court for the anti-public education outfit Students Matter. The trial court ruled against David F. Welch's corporate reform group in Doe vs. Antioch. Welch's other action, the wrongheaded Vergara suit, recently ended with the Supreme Court of California's refusal to hear his group's appeal. I had some observations reproduced here. Once more right-wing extremist David F. Welch costs the people of California untold sums of money with his reactionary group’s wrongheaded causes of action. One wonders how many school libraries could have been stocked with the resources squandered defending against these bad faith lawsuits brought by his group. As a Juris Doctor candidate myself, I suppose I can consider Marcellus McRae, Joshua S. Lipshutz, and Theodore Boutrous of corporate firm Gibson, Dunn & Crutcher as somewhat instructive. They have demonstrated repeatedly how NOT to read statutes, how to present evidence that is neither logically nor legally relevant, and how to make bad faith arguments without conscience. I will take their lessons on how not to conduct myself as an attorney to heart. Seems like they need refreshers in issue spotting and ethics. Having just scored a 124 on the MPRE myself, perhaps I could help them with the latter. Robert D. Skeels is a social liberation writer, public education advocate, immigrant rights activist, and law professor. He lives, works, writes, and organizes in Los Angeles with his wife and cats. Robert holds a BA in Classical Civilization from the University of California at Los Angeles (UCLA), a JD from Peoples College of Law (PCL), and passed the California Bar Exam on his first attempt. A US Navy Veteran, he is a proud member of Veterans for Peace. A student of Liberation Theology and Paulo Freire's work, Robert volunteers for community and 12 step groups. Robert's articles and essays appear in publications including Jacobin, Truthout, CounterPunch, Dissident Voice, Schools Matter, Daily Censored, Regeneración, K12NN, LA Progressive, and The Los Angeles Daily News. 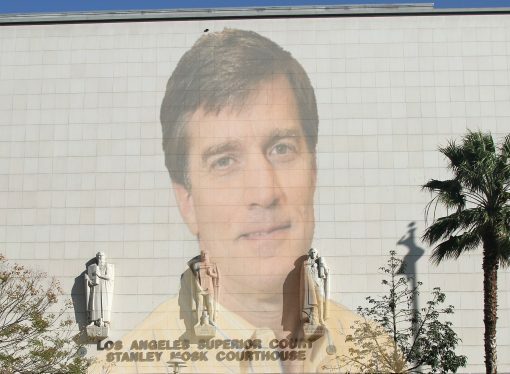 In 2013 Robert ran for the LAUSD School Board against a billionaire funded corporate reform candidate, finishing second in a field of five, with over 5,200 votes. Who's Behind the K-12 Online Learning Bonanza? The Unbearable Costs of "Unity"